You’re opening your KnockerBall franchise and planning for your grand opening. Here is a list of the essential KnockerBall marketing tips for your grand opening. Use this list to help you plan for your grand opening, but don’t forget important details like getting the necessary permits and insurance. Also select the proper venue, a good place to have it is at a park or sports facility where you are planning to host a league or events often. If you don’t have a KnockerBall franchise, click here to find out about joining the team! Your KnockerBall franchise comes with experience and resources from KnockerBall. 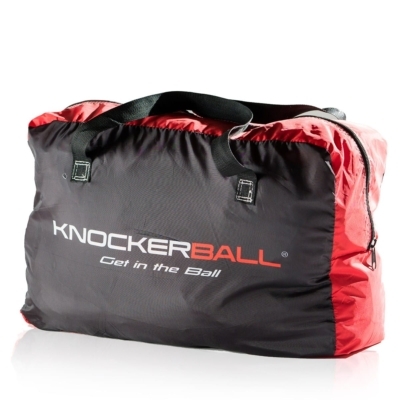 Be sure to utilize their marketing tools to help you plan and promote your KnockerBall franchise grand opening. KnockerBall has national media, satellite radio, and social media advertising. Create awareness – You want your grand opening to announce to your market, you are there. You want everyone in the community to be aware of KnockerBall and where they can find it. The keys are to make sure people know what KnockerBall is and who to call or where to go to schedule an event or sign up for a league. A strong social media marketing campaign will help you with awareness. Also, be sure to make the most of the local press. KnockerBall is new and entertaining and the media loves both of those things. Press releases are free, so make use of them. Invite the media to your grand opening as well. Build Relationships – You want to build strategic relationships with your community partners. This includes all the parks and sports facilities in your area, especially the one where you are holding your grand opening. All the party planners and rental companies in your area. All of the sporting goods retailers in your area. Don’t forget local officials and government groups like the Chamber of Commerce. Find Customers – Ultimately you are there to find customers. This starts with inviting the right people, who are potential customers to your event. It ends with a call to action. Make sure you have some sort of call of action for potential customers to follow up with. This could be a discount if they schedule their event at your grand opening. Regardless if your potential customers take the call to action or not, be sure you are collecting their information. This can be done by having them fill out their email for a discount. It can also be as simple as having them like your Facebook page. Nothing sells KnockerBall like seeing and playing KnockerBall. It is such an amazing sport and people enjoy seeing it. Make sure you have demonstrations going on. Let people see it. Let people try it. It is so much fun! Have a lot going on as well. People who want to try it don’t want to wait an excessive amount of time. Set up smaller stations where people can try on the suits and do some drills or play on a small scale. Give them a taste and have them coming back for more. Overall you want your KnockerBall grand opening to be a great experience. Whether you give away food or arrange for food trucks to service your event, make sure there is enough, so lines don’t get out of hand. Be mindful to schedule your grand opening for a time and place where people will buy your services. Achieve your goals and make sure everyone has fun in a safe environment.